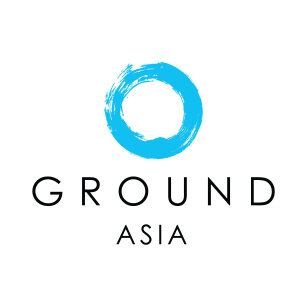 The seeds of GROUND Asia becoming one of Asia’s best educational travel companies were planted about ten years ago in a small village in rural Cambodia. Our brand partner, Khiri Travel, a leading destination management company in Southeast Asia, joined a collaborative project to develop the fledgling economy of this poor village community through sustainable tourism. Nearby this village was a unique treasure waiting to be developed amid the ancient ruins of an Angkorian era temple. Despite an unwavering commitment to sustainability and a growing desire to expand their student travel programs, Khiri Travel recognized that they were not able to properly balance the relationship between two important sets of clients: the educational travel groups and the developing communities. To successfully grow this small village’s budding tourism market required a partner company to specialize and focus on long-term relationships for sustainable community development. What emerged from these plantings became GROUND Asia, a fruitful collaboration between two partners’ vision of small business as a catalyst for community development. Khiri Travel had the depth of experience in travel and tourism while GROUND Asia focused on how to apply student travel to community development. GROUND Asia specializes in educational travel. We understand how to work with schools and teachers and understand the special needs of young people who haven’t traveled outside the family unit. Using this knowledge and experience, we continue to build much better programs. After GROUND Asia first branched out from Khiri Travel, when we first started working with communities and educational travel groups, we concentrated on using and developing solid relationships within our client communities. Our initial programs focused on working with school groups directly involved in community development through infrastructure projects such as building toilets, school classrooms and other hands on projects relating to the community’s development needs. More recently, in growing to become one of the best educational travel companies in Asia, we offer more specialized programs that university students and university faculty would find interesting. These groups bring a different skill set, especially the healthcare students and faculty. Coming with special knowledge, these individuals are able to address the needs of the communities that are located in remote areas or not able to access critical aspects of healthcare. We also have programs for university students that have special expertise in the fields of environmental science or conservations issues. Community development is GROUND Asia’s first priority. While our vision focuses on our client communities, we believe this also provides fertile ground on which to grow meaningful and transformational experiences for both high school student travel and university student programs. For more information about GROUND Asia’s educational programs and travel opportunities, contact us here or visit our website.